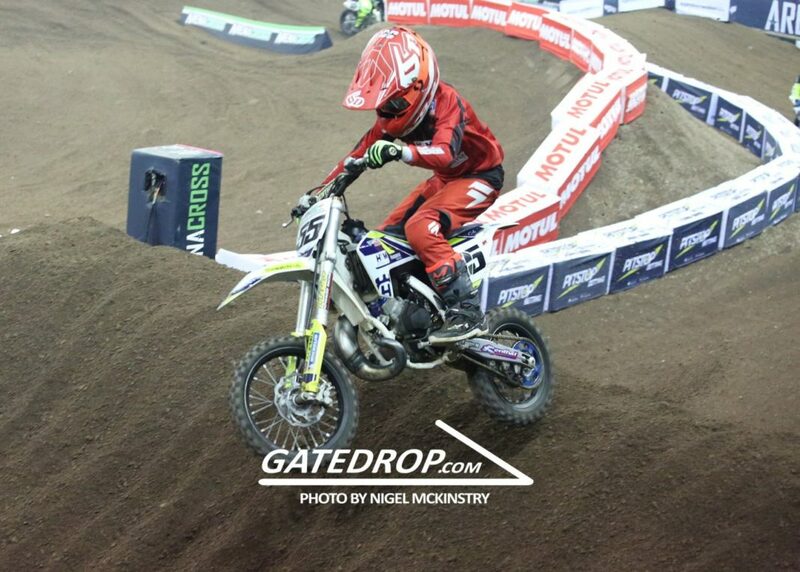 It was a big weekend for the McCullough family as Cole and Robbie made their Arenacross debut at the SSE Arena in front of their home crowd. The pair aren’t used to racing in front of such big crowd’s but they both did well competing in the 65cc class. Both riders were comfortable in the top ten all weekend long with Cole showing a bit more raw speed than his brother but took a crash during Saturday morning. Cole ended up going 5-6 during the first round and 6-5 in the races at round two. Robbie was very smooth and made less mistakes than his brother. At the first round he went went 6-7 and in round two went 8-9 in the races. Both would have learnt a lot during the weekend and it’s completely different to what they’re used to riding. Hopefully we will see them both in action at the event again in 2020. Philip McCullough: “The whole week was a great experience for both my sons, Matt Bates and the Arenacross team really made Robbie and Cole feel like superstars, involving them in all the back stage interviews and stuff and even the Arenacross 4 schools initiative, with their P7 class all attending it. Competing in front of thousands in the crowd didn’t phase them. Watching them both on track racing, has to be one of my proudest moments as a father”. Cole McCullough: “The whole weekend was a great experience, hearing the crowd roaring and cheering me on was class”. Robbie McCullough: “To race in front of a full house both nights at the Arenacross was a great feeling, the whole crowd really got behind me and Cole to do well”.